As the CBD health products market is heading toward the $22 billion mark in the next few years, it’s clear that there’s more to come. 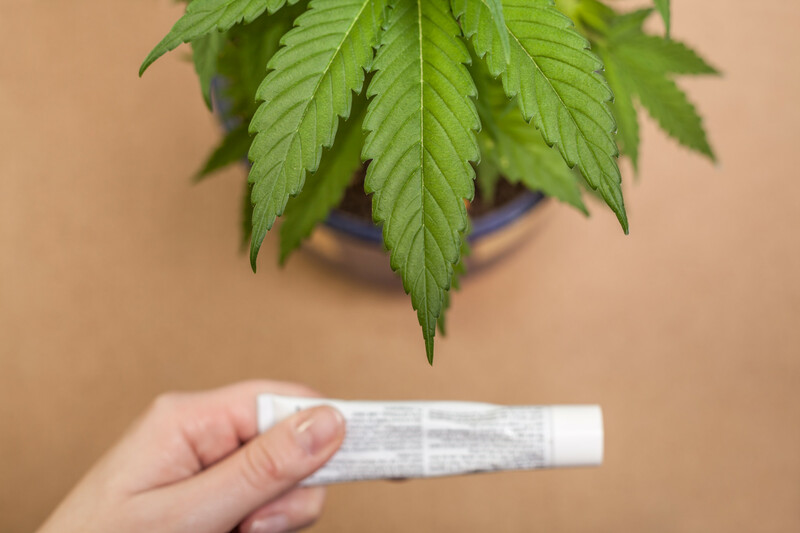 While consumables were once a major piece of the market, CBD beauty products are now taking up a major share of what’s to come. There are a lot of serious health benefits when it comes to CBD products but if you’re new to the concept, you might wonder why people are using them at all. Here’s what you need to know about CBD to start. People are turning to CBD products because of their love for natural remedies but also for what CBD is known to be able to do. CBD products have become more popular for those of us who like the calming effects of marijuana but can’t be dealing with THC all the time. THC is what gives you that high feeling that you get when you use marijuana but when you remove the CBD, you get positive effects without being high. CBD has been known to help people to relax and deal with anxiety issues. Many people tout the impacts of CBD as allowing them relief from aches and pains as diverse as arthritis and inflammation. There are other impacts to CBD that hemp molecules can offer your skin as well. CBD infused skin products have been found to be effective because of the way that small hemp molecules can get into the skin. They work better than most creams in this way. Most of the products offered as CBD skin care solutions can provide both pain relief and the impact that you get from good skin care products. You can heal and get relief at the same time, all while keeping your skin looking clear and fresh. Here are a few of the products you could be adding to your routine. When you have dry or chapped lips, lip balm is the go-to for most people. While the average user will apply their convenience store lip balm every hour or so to get relief, high-quality products last longer. If you’re dealing with chapped lips, you need both protection and something that will heal you. CBD lip balm is often infused with scents that offer you a fresh olfactory feeling. When combined with anti-inflammatory compounds like coconut oil, jojoba oil, or other moisturizers, you get the best of everything. Lip balm manufacturers work hard to test their products so that they can stay on shelves. With so many rigorous crackdowns on hemp-based products, you can be sure that the products that they offer are going to avoid including THC. This will allow you the relief you’re looking for with no side effects. If you’re looking for a product to repair you overnight, you should look for a product like a night cream. These products keep your skin moisturized for that third of the day that you spend asleep and dreaming. They often contain a whole group of ingredients that are focused on repairing and cleansing your skin. When you combine this repairing cream with other elements, you’re able to keep your skin soothed and smooth out wrinkles over time. When combined with other healthy ingredients like vitamin E or aloe vera, you can keep your skin hydrated. Restoring your skin is a challenge but with the help of CBD, you can get those impacts of an anti-inflammatory treatment while feeling more relaxed. You’ll calm your body while you keep your skin in good health. One of the best ways to keep your skin in good health is to hydrate with oils. When you add oils and tinctures to your routine, you can ensure that you get powerful and high-quality treatments that make an impact. Inflammation and dryness are common as we get older but with face and body oil, we can ensure that our skin stays healthier for longer. CBD products to help cleanse the body can seep into our skin and give us relief and care that we need. Dryness leads to aging and wrinkles but when you can combat them, you can keep your skin looking good for years to come. If you’re looking for the types of supplements that you’ll find physicians and naturopaths agreeing on, then try some hemp-infused creams. While not all of them have CBD in them, the ones that do will usually contain lots of other great ingredients for your skin. If you can find creams that contain vitamin B, aloe, and shea butter, you’ll ensure that you’re getting high quality moisturizing with your CBD products. There are even some now that are FDA-registered to show that the products are manufactured under the FDA’s stringent guidelines. High-quality and safe products ensure that you’re able to stay healthy with skin that truly glows. Look for products that have been engineered by the most well-trusted names in the business and you’ll get great products with CBD benefits. These treatments are often free of impurities and better for your skin than any of the other products on the market. As medical marijuana companies continue to spring up, they’ll be sure to carry a lot of the items that you’re looking for to take your skin care to the next level. Because they cost more than most other products to produce, you can expect that CBD products will hold a more high-end part of the market. However, once there’s the potential for companies to take up space in the industry, the services offered are sure to grow. If you’re struggling with dental or oral health issues, check out our guide for tips on dealing with that.